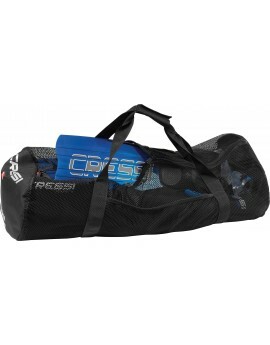 The Cressi Crete Bag is great for hauling virtually any dive equipment, even the heavy stuff. 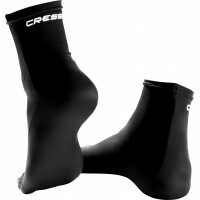 De Regulator Bag van Cressi is op meerdere manieren in te zetten. In opgevouwen stand past je volledige automatenset, inclusief octopus en instrumenten, met gemak in de tas. Maar ook je snorkel spullen, handdoek etc kunnen met gemak mee op dagtrips. Je vouwt de tas gewoon uit en je hebt een ruime nettas! 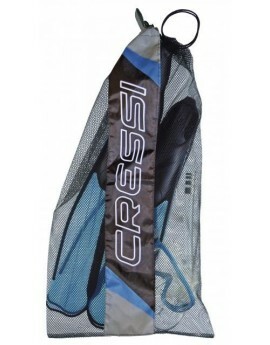 Cressi Net Bag to attach to the waist for small accessories and light equipment. 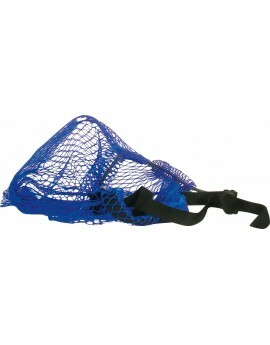 The net is attached to the waist by an adjustable belt complete with quick-release fastex buckle. An elastic band keeps the opening of the net closed, snug against the body of the diver so he can rapidly open the net to take out or replace accessories and equipment. 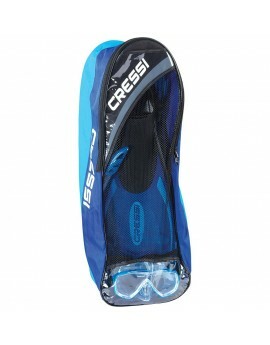 Cressi Palm Bag mesh backpack with adjustable padded shoulder straps and adjustable sternum strap. 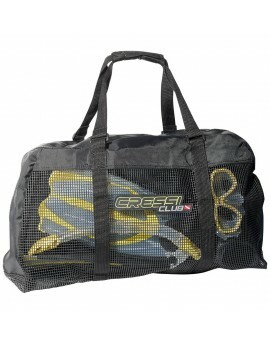 Two comfortable rubber handles make it easy to transport when used as a bag. 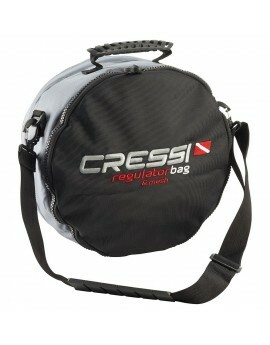 Cressi Gorgona Bag easily foldable for becoming a practical round bag diameter 38 cm with handle. 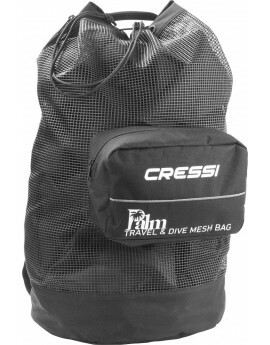 Practical travel pocketable mesh bag practical to carry or rinse the equipment. 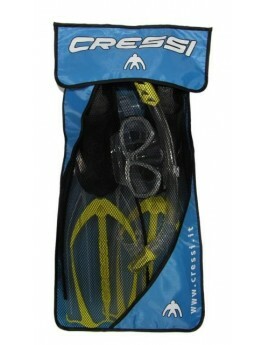 The length is sized to house even the longest freediving fins. 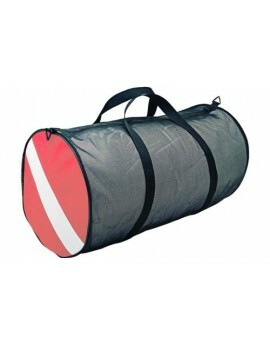 Rectangular shaped bag, made from extremely light mesh fabric. 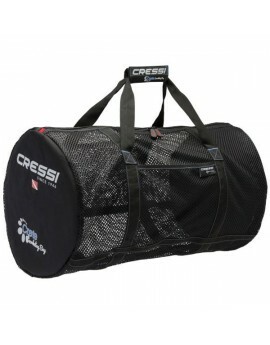 It has a single main compartment, with zip closure and double carrying handles with a Velcro strap to keep them together.